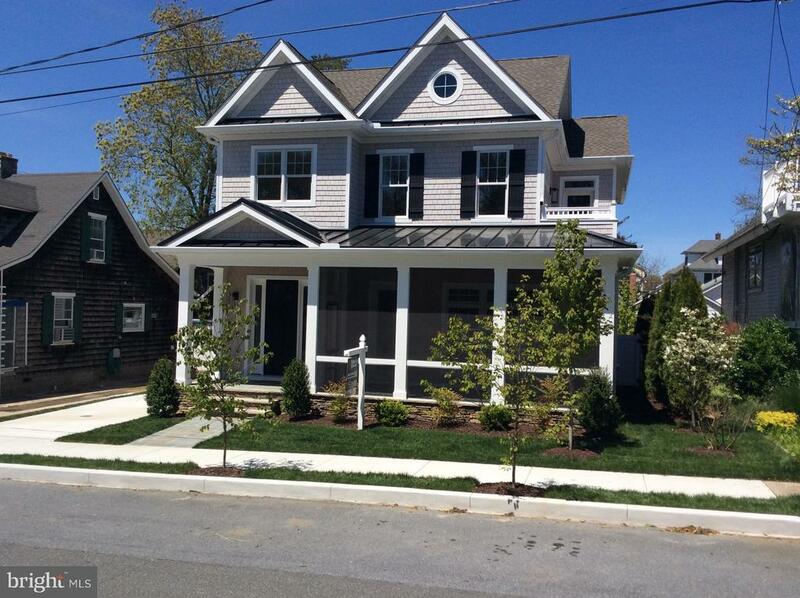 There are currently 193 Rehoboth Beach Delaware Single Family Homes for sale. 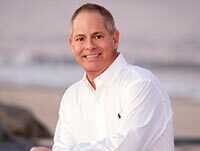 We are your Rehoboth Beach Delaware real estate specialist offering ALL Single Family Home sales Rehoboth Beach Delaware Real Estate For Sale. Discover this magnificent oceanfront Georgian estate in North Shores built to category 5 hurricane standards. A rare offering, this exquisite North Shores oceanfront estate boasts floor to ceiling windows with sweeping views of the Atlantic Ocean. With over 6,700 heated square feet and over 12,000 total square feet, this extraordinary retreat features stunning details throughout, including random-width reclaimed oak hardwoods floors, gourmet kitchen with 48 inch gas cooktop and Viking appliances, a heated infinity pool and spa, four fireplaces, ten wall mounted televisions, and endless custom details. Main level has entry foyer with barrel vault backlit ceiling, open two story great room with stone fireplace and built-ins open to dining room and gourmet kitchen. Enjoy the sunroom off the dining room overlooking the ocean or relax on the over 1,400 square foot ocean front deck with 16 x 22 infinity pool and spa overlooking the Atlantic Ocean! In addition there is a recreation room with wet bar off the great room and a powder room, office, and master suite on the main level. Second level features three more master suites and exercise room with powder room. There is a balcony off the exercise room and a large sundeck off one of the bedrooms. Third level is a large master suite with office, balcony, walk in closets, laundry, and luxury bathroom. Ground level has garage for four cars and large storage area. Elevator services all four levels. Construction details and plans attached - pilings driven down 75 feet into bedrock and encased with steel and reinforced with steel concrete grade beams. Over two hundred tons of steel was erected three full stories high. Six foot fencing surrounds the property and there are two motorized entry gates. Hurricane rated low E windows and doors by . Exterior walls are framed with 2 x 10's and interior walls are 2 x 6's with R-30 and R-40 insulation. Features central vacuum, heated pool, four fireplaces, reclaimed oak hardwood floors, five bedrooms, five full bathrooms, and two powder rooms! Pool mechanicals are housed inside on lower level. Truly magnificent home that is perfect for entertaining. North Shores features a community pool, tennis, marina, and private beach. Easy access to the bike trail in Gordons' Pond State Park. 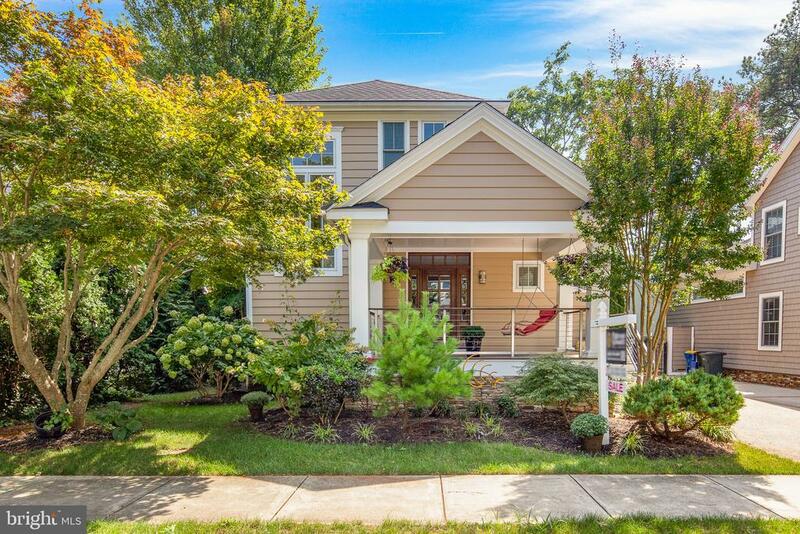 Enjoy coenient Rehoboth location with restaurants and attractions nearby. Start living the ocean front beach life today! Introducing 58 Ocean Drive, an exquisite oceanfront residence located in the sought after and private beach community of North Shores. Upon entering 58 Ocean Drive, you will be welcomed by sophisticated yet cheerful coastal decor. This excellent ierted floor plan was designed to maximize the spectacular ocean views from your prime living spaces. The first level features a welcoming foyer, garage, spacious recreational room,bunk room, half bath and mud room/laundry room that is easily accessible from your outdoor shower and beach. As you approach the 2nd level and main living area from the central staircase, you will be greeted by panoramic ocean views, soaring ceilings with intricate trim work and detail throughout. The open floorplan is ideal for entertaining or simple relaxation with the sound of the waves crashing in the background. The gourmet kitchen includes commercial grade appliances, custom cabinets, large island with breakfast bar and pantry. The kitchen overlooks the spacious yet comfortable great room and dining area each offering direct access to the oceanfront screened porch and sprawling sun deck. This level also includes a cozy den and an executive office complete with beautiful custom built-ins to maximize the space. Once the sun sets, retire to one of the 3 spacious bedrooms with en-suite baths or travel to the 3rd level featuring the oceanfront master suite complete with a private sun deck, spacious custom walk-in closets and spa like bath. In addition, the 3rd level includes another private suite offering a total of 6 bedrooms and 6 full bathrooms and 2 half baths. North Shores includes numerous amenities such as a private beach, swimming pool, tennis, and marina, all adjacent to Cape Henlopen State Park and the popular Gordons Pond Trail. This spectacular oceanfront retreat, with panoramic views of the Atlantic Ocean, is the epitome of luxurious modern coastal elegance. Located in the exclusive community of The Chancellery, this extraordinary property features a 150' elevated boardwalk leading directly to the privately guarded sandy beach. Gorgeous, scenic and relaxing vistas unfold each and every day from this home's expansive interior and exterior living spaces, in which no detail has been overlooked. At over 4,500 square feet, this exceptional residence showcases an airy, sun-filled open interior, which was fully remodeled with meticulous craftsmanship beginning in 2013. From the custom hardwood floors throughout, Andersen windows and doors, custom built-in cabinetry, gourmet kitchen complete with Carrara marble countertops and backsplash, custom designer window treatments and glass-enclosed elevator, this home exudes refined coastal luxury. Modern smart home technology, such as remote thermostat control, lighting, and electronically-controlled window shades, provide easy living coeniences. Floor-to-ceiling doors off the great room's living space showcase a fully reconstructed, rear deck with plenty of room for dining al fresco and relaxing outdoors. The stainless-steel cable wiring railings add a modern coastal touch and the private walkway is retrofitted with water and electric which extends to the beach. On the first floor, a large laundry room offers two separate full-size washers and dryers as well as ample storage space for all the beach toys and gear. For those who prefer a pool to the beach, enjoy the custom in-ground pool, situated directly behind the sandy dunes outside. The third floor offers an additional laundry room and the top level features a gorgeous sitting room with windows to the ocean and a separate bedroom and bath; which can easily function as a private in-law suite. Each of the five spacious bedrooms features an ensuite luxury bath, all of which have been fully remodeled with state-of-the-art appliances, Grohe faucets, glass enclosed showers with stone flooring and floor-to-ceiling marble tiling. In a nod to the beauty of the outdoors, every bedroom also features a stunning ocean view, while the owner's bedroom includes a fireplace and access to the outdoor deck. In addition, this home boasts many more unseen upgrades, including three-zone heating and cooling, central vacuum, wireless speakers, remote door locks and home security and monitoring system for peace of mind. The coenience of downtown Dewey and Rehoboth Beach with their stylish shops, gourmet restaurants, healthy outdoor activities, and live entertainment are within walking and biking distance; however, the private location of this residence offers unparalleled wildlife watching with dolphin sightings and sea birds making frequent appearances. One of this area's beautiful and protected natural resources, the neighboring Seashore State Park, boasts over 2,800 acres of undeveloped beaches and dunes, along with scores of water sports and activities. This is truly a significant property which is a must-see for anyone searching for a spectacular oceanfront residence in a perfectly located community. TURN KEY FURNISHED! This custom built residence with private elevator in the ocean block of South Rehoboth Beach offers exquisite coastal style, an excellent floor plan, beautiful finishes, and breathtaking views of the ever present Atlantic Ocean. Absolutely loved by current owner, this can all be yours: a full house with countless laughs, beach strolls, board walking, sunbathing, storytelling, Funland, and lifetime memories. A total of 5 private bedrooms and plenty of living spaces, you~ll have the perfect set up to watch the sunrise, sunsets, and even stargaze! Enjoy a full length front porch and upper decks to take in the ocean breezes, people watch, and be in the present moment. Entertain large gatherings with ease while also having quaint areas to relax and feel cozy. Kitchen features include: custom cabinets, granite countertops, stainless steel appliances, a huge breakfast bar, separate icemaker, and pantry. The kitchen flows seamlessly into the family room, and onto a covered balcony where you hear and see the surf sounds. A private master bathroom suite is located coeniently off the kitchen with own balcony overlooking the fenced back yard, plus double walk in closets, and a private bath with hand laid custom tiled shower and spacious vanity. Never rented but would sleep 10 comfortably; estimated rental income of $6,000 week; $60,000-$65,000 season and sold mostly furnished! A home of this size cannot be duplicated on lot of this size, based on current FAR regulations. Much sought after solid rental iestment property located on popular Hickman Street in the Ocean Block. Two story home with a first floor bedroom and den. Second floor with four additional bedrooms. Plenty of room for your family and friends. Welcome to 21 Cardinal Lane in North Shores! This meticulously maintained custom home boasts over 5,100 square feet of living space featuring 6 bedrooms, 5 full baths and 1 half bath. The extensive hardscape offers a spacious and welcoming circular driveway with low maintenance landscaping. Upon entry, beautiful Travertine tile floors lead you to the enormous custom kitchen complete with stainless appliances, expansive island and ample cabinet space. This is truly the ideal set up for entertaining family and friends at the beach. 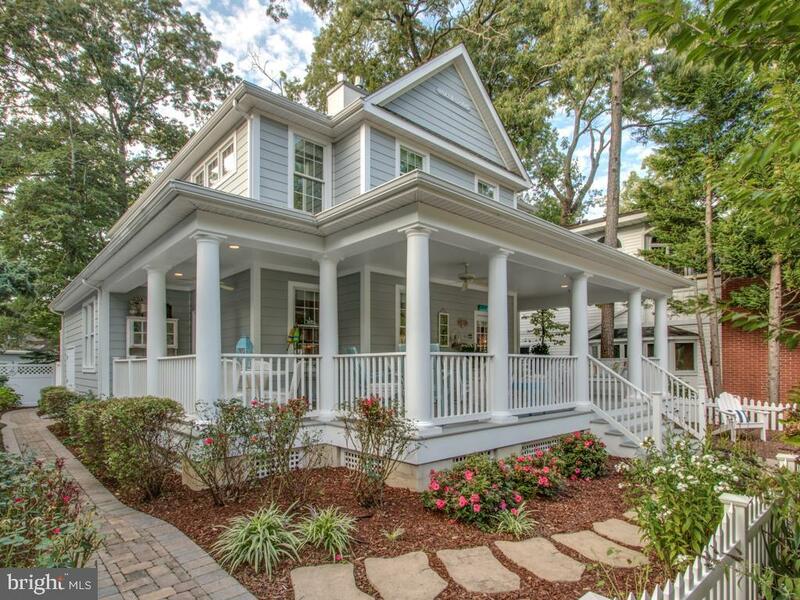 The kitchen is open to the dining area, adjacent screened porch and outdoor grilling area perfect for summer barbeques and crab feasts. In addition, this level features a sizeable bedroom with en-suite full bath and a cozy family room with custom built-ins, gas fireplace and wet bar with built-in wine cooler. As you move up a level, you will find the master suite featuring two walk-in closets, a beautiful master bath with marble floors and custom walk-in shower. Also, you will find an additional 4 spacious bedrooms and 2 full baths. The lower level of the home features two oversized garages, including golf cart garage, a fitness room with sauna, large laundry area and a commercial grade ice machine. Each level is easily accessible via elevator for coenience. This property~s backyard and outdoor living areas leave little to be desired complete with a 40~ x 15~ heated pool with automatic cover, hot tub, expansive patios with fire pit, sun decks and large outdoor shower. Other features include 17KW home generator, customized audio system and pet friendly access door. All situated in the highly desired and amenity rich community of North Shores and within walking distance of the private beach, swimming pool, tennis, basketball and 30 boat marina. 21 Cardinal truly has it all! Summer is calling! This gem of a beach house features a well thought out design with incredible attention to detail. Being sold furnished, this solidly built custom home was built in 2017 and is in tip top shape and move in condition. The spacious great room features an open floor plan, gas fireplace with built ins, Bose surround sound, Craftsman interior trim finishes and sustainable Hardwood throughout. Prepping for dinner will be a delight in the connoisseur~s kitchen with granite & quartz counters, black stainless Kitchen-Aid appliances, gas range, instant hot water and wine refrigerator. The master bedroom features vaulted ceilings, fabulous master bath with oversized roman shower, radiant heated tile floors and walk-in closet with custom built-ins. 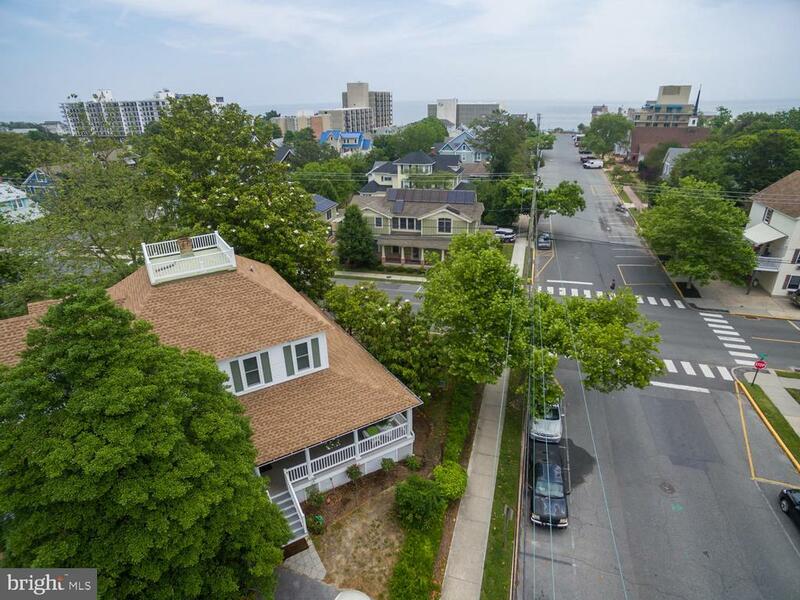 This South Rehoboth showplace is 2.5 blocks to the ocean, 2 blocks to Rehoboth Avenue and a quick stroll to shops and restaurants. Proven rental income with $63,000 in 2018, and potential for $70,000+ in 2019. ($7500 per prime week) With three en-suite bedrooms, this home truly has it all; a laundry room that doubles as a butler~s pantry with sink and handsome cabinetry, a mudroom with built ins, pantry, a partial basement with storage and access to 2 conditioned crawl spaces, security system, central vac, high efficiency HVAC and a tankless hot water heater. Exterior features include an iiting screened porch, backyard paver patio, detached garage (pre-wired for electric vehicle), privacy fencing, outdoor shower, Hardi-Board siding, composite decking, irrigation system and parking for 4 cars. Ask your agent for more info about this wonderful home. 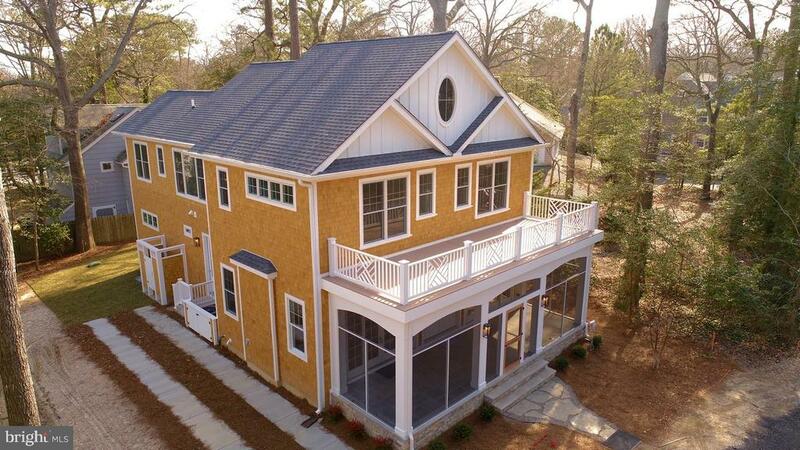 Gorgeous home located within 3 blocks of the ocean, Rehoboth Avenue AND backs to parkland and lake. This custom built home by The Great House, boasts stunning amenities and attention to detail throughout. This 5 bedroom, 5 1/2 bath home has potential of $80,000 annual rental income. 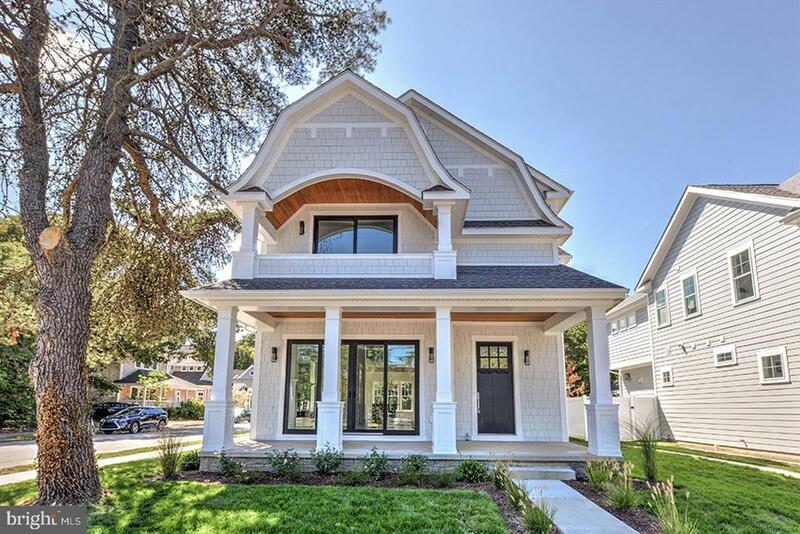 Enter the home through the large front porch into the open, spacious Living Room with gleaming cherry, Brazilian floors throughout; 2 gas fireplaces (wood/gas combo); high end, high insulation 400 series windows; recessed lights, extra wide crown moldings & baseboards and 12' ceilings. The upscale Kitchen has granite countertops & bar with pendant lighting, custom cherry cabinets, metal backsplash, SS appliances. Two generous sized bedrooms with gorgeous full baths plus a pretty powder room complete the first floor. The cherry hardwood stairs lead to a landing with floor to ceiling windows & 2nd floor 9' ceilings (soaring to 16') to two more lovely guest bedrooms with custom full baths. The Owners Suite is beautiful with a sitting area that leads to a private rear deck/balcony and an amazing Owners Bathroom with heated floor, enlarged corner glass shower with steam room & massage jets, spa tub with a double sided fireplace to the Owners Bedroom. Located in one of the most desirable locations, enjoy the tranquil setting and view of the park, walking bridge and lake while relaxing on the large new, composite deck w/ trellis roof. Driveway and 2 off street parking spots available. Call for your private tour!